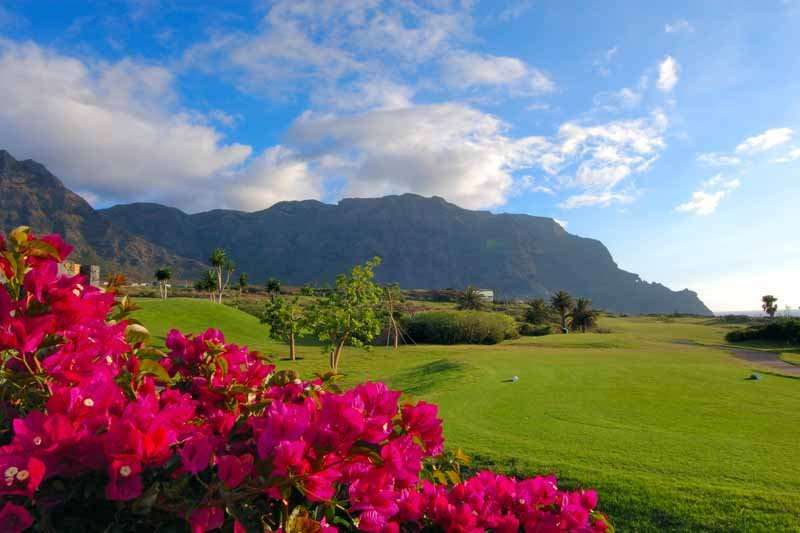 Buenavista golf course was designed by Seve Ballesteros and is true to its name, translating to ‘beautiful view’. 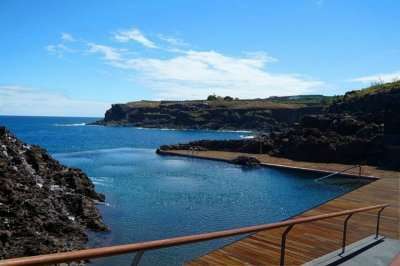 This course is perched on the cliff tops overlooking the Atlantic Ocean and the Teno mountain range, offering views of unrivalled beauty throughout. 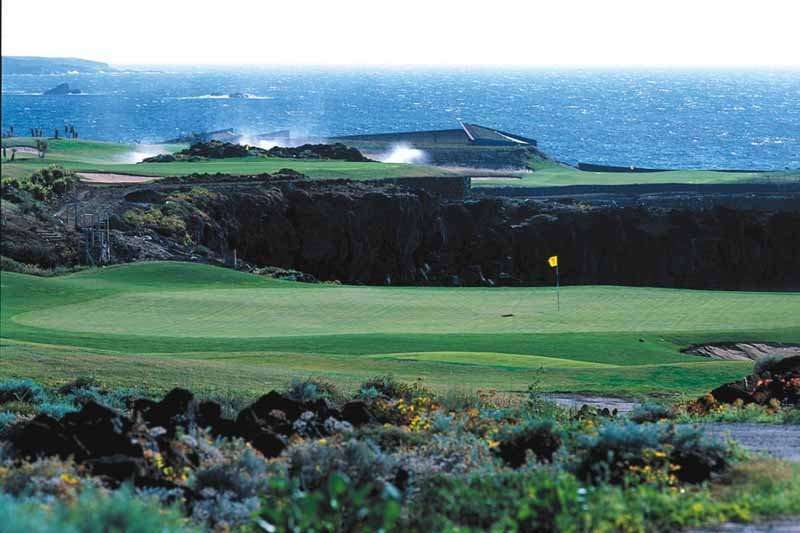 With many of its holes lining the coast line, players will be offered a challenging yet unforgettable round here. 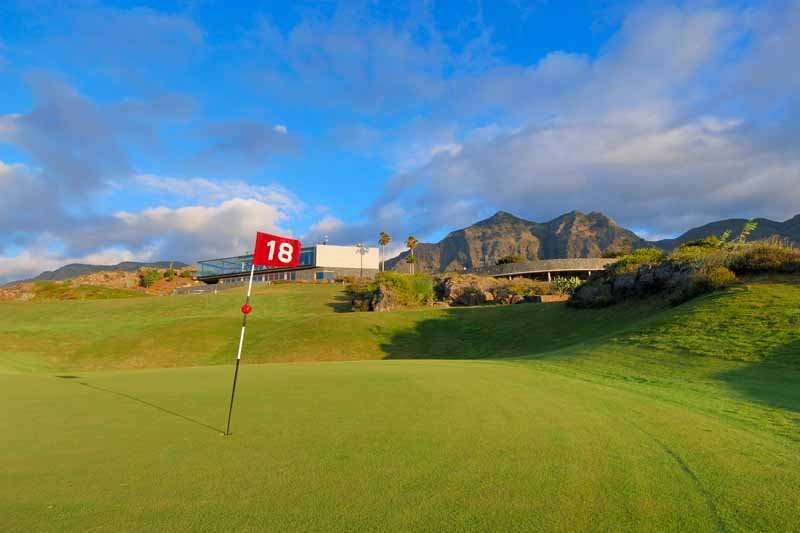 The Buenavista course is located on the north west coast of the island and a simple 60 minute journey from Las Americas in an area of outstanding beauty. 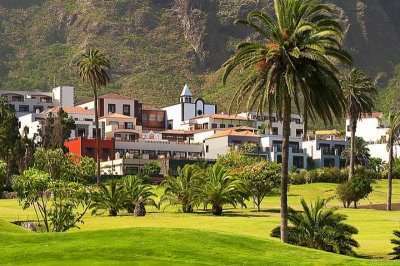 Despite being situated slightly further afield than the other courses in Tenerife, we promise that this course is well worth the journey, and here you will benefit from a tranquil atmosphere and unspoilt views. Buenavista golf has five holes right on the coast and hundreds of new trees have been planted to define the fairways. Water only comes into play on three holes and the clubhouse is raised up high in the middle of the course to offer spectacular views all around. The course has received excellent reviews from all that have played it and is certainly well worth the drive! Players on this course will be kept on their toes with a varied course, featuring 6 par 3's, 6 par 4's and 6 par 5’s. On the 5 holes lining the coast golfers will benefit from the stunning views, unlike anywhere else on this captivating island. However here golfers must not be distracted by these panoramic views; a wayward shot could be swallowed up by the Atlantic Ocean when full concentration is not applied. Furthermore, the sea breeze may also come into play when trying to hinder your scorecard, and it can create havoc when selecting the appropriate club, and judging distances on the greens. Luckily for those bearing a higher handicap, the fairways on this course are generally spacious, therefore any inaccurate shots will be swiftly forgiven. Amateur players will also be aided on this course with the multiple tee off options on offer. Despite the fairways being widely considered as forgiving, they are lined with dense vegetation, greenery and rocks. Consequently the chances of being able to rescue a stray ball remains slim. However this is compensated for with the wide and shallow bunkers, allowing a handful of sand saves. The 9th and closing 18th hole are uniquely connected by a waterfall which also poses as a challenge.